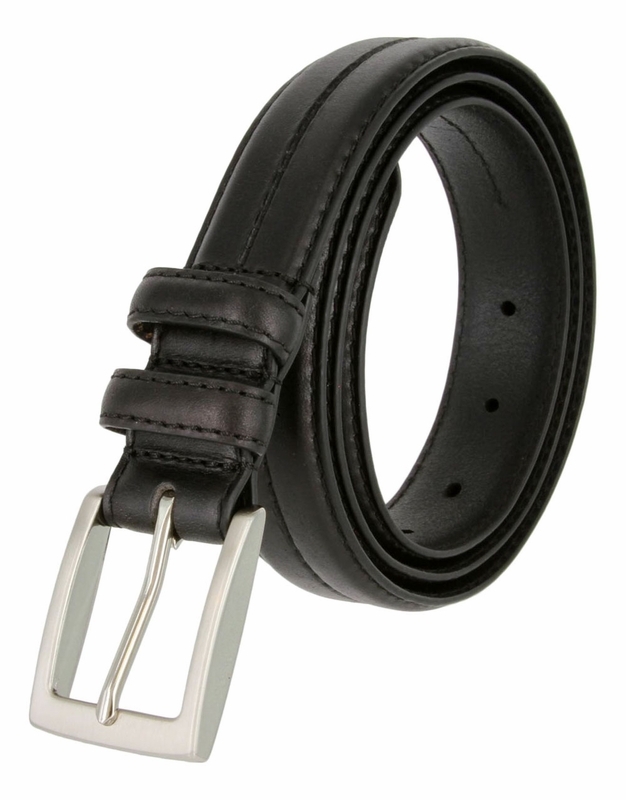 Beautiful oil-tanned genuine cowhide leather belt. Contemporary look with sleek stitching along the center, edges, and loops. Solid Metal Buckle. 30mm - 1-1/8" wide. Brand New! 32" to 50"